There are special room rates for ICEBE 2012 participants. Please fill in and return the form before August 15, 2012. Conference participants may need a Chinese visa to enter China. Participants can apply for a visa at the Chinese embassy or consulate in the region in which they live. For most attendees, it is easier to apply for a Tourist ("L") visa; an invitation letter is not required for obtaining a Tourist visa. If some participants need another type of visa that does require an invitation letter, the 2012 International Joint Conference on e-Business (ICEBE 2012 & CEC 2012) organization committee will be glad to help. If you need an invitation letter, please send e-mail to nblin@163.com , together with your registration, and in the case of being an author, your accepted paper ID. To avoid uncertainty, participants will be advised to apply for a visa as early as possible. It is recommended that they apply for a Chinese visa at least 1 month in advance. For more information regarding the requirements and procedure for obtaining a visa to China, please see http://www.fmprc.gov.cn/eng/default.htm. More detailed visa application procedure: http://www.china-embassy.org/eng/hzqz/zgqz/t84246.htm. ICEBE Regular Papers: 8 pages, including all figures, tables, and references. ICEBE Normal Papers: 6 pages, including all figures, tables, and references. All Workshop Regular Papers: 6 pages, including all figures, tables, and references. All Workshop Short Papers: 4 pages, including all figures, tables, and references. The Call for Papers of IEEE ICEBE 2012 is now available. Please click here to download. The IEEE International Conference on e-Business Engineering (ICEBE) is a prestigious conference sponsored by IEEE Technical Committee on Business Informatics and Systems (TCBIS, formerly TC on Electronic Commerce). It provides a high-quality international forum for researchers, engineers and business specialists to exchange their latest findings and experiences related to the design and implementation of e-business. 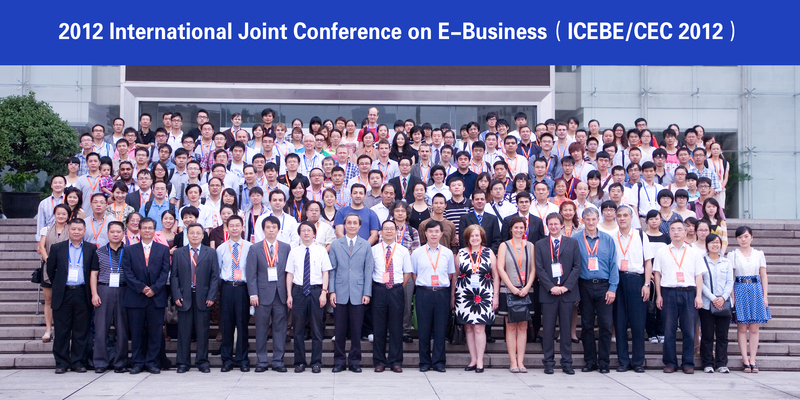 ICEBE 2012 will take place in Hangzhou, China, September 9-11, 2012. New IT breakthroughs have been driving the evolution and transformation of e-business in many aspects; for example, novel business models, new marketing and sales channels, and rapid sense-and-respond operations, just to mention a few. How to adapt to the changing computing landscape and exploit IT technologies for competitive advantages is a major challenge for modern enterprises. Addressing the challenge requires innovations in areas spanning systems, software, services, and business. © 2011-2012 IEEE International Conference on e-Business Engineering (ICEBE 2012). All rights reserved.